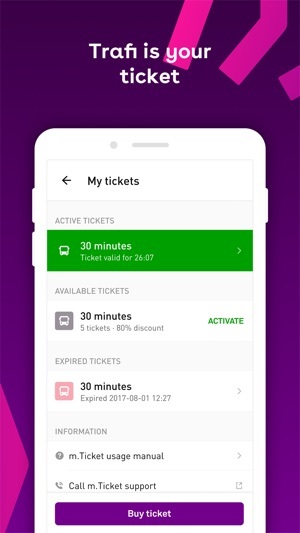 Own your city with Trafi - the most connected transport app! compares your favorite city mobility options and always shows them in real-time. Even more, Trafi is accurate even without internet connection, so feel free to pick your destination and get going! Just use route search! 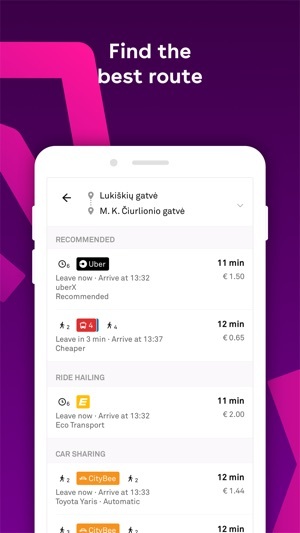 Making your city easier to navigate, Trafi connects all your favorite city mobility options – from public transport and city bikes to car sharing or ride-hailing. No need to put extra thought into what’s best for you – Trafi allows you to compare every option in terms of efficiency, speed or price. Have a destination you use everyday? Forget writing addresses and access your favorites in one tap. Trafi shows the streets in real time so you can accurately pick and choose according to what’s happening right at this moment. Can’t find internet connection? Be sure that you will always have our offline timetables which make route search accessible at any time. Interface is really solid, but other things could be better. A few times already next bus was not shown as possible but it was actually driving right after the bus I was in. I realise that this depends a lot on available data, but maybe there could be an optional “dangerous” mode which could include these. When you’re on a bus and you’re checking upcoming stops, the times you’re going to arrive at should be highlighted or marked. Also BATTERY USE. Drains like crazy. Very important, since busses (and stops) don’t have a charge spot. We want the app on apple watch!